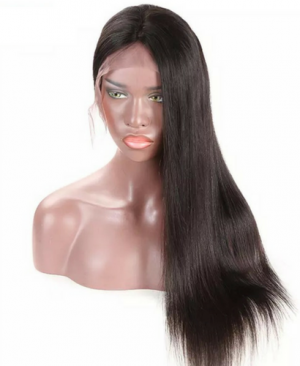 This gorgeous full lace wigs with baby hair is made with beautiful grade 10A Brazilian human hair which is soft and luxurious, no split ends, no dry hair. The knots have been bleached and there is baby hair around the pre plucked natural hairline. Style as you desire. 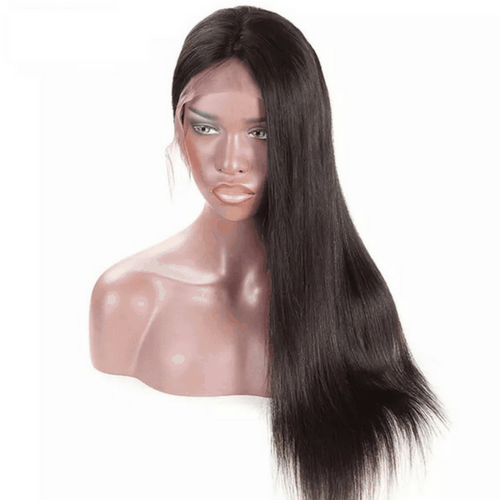 Full Lace wigs for black women, and white women and everyone who loves a great quality style. You will love this gorgeous style in lengths from 14 inches to 24 inches. 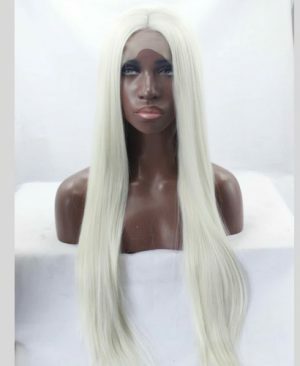 Dying this quality full lace wig to your favorite color, and styling it whichever way you want give you great customization options. And, you will have plenty of volume and bounce with 150% density. 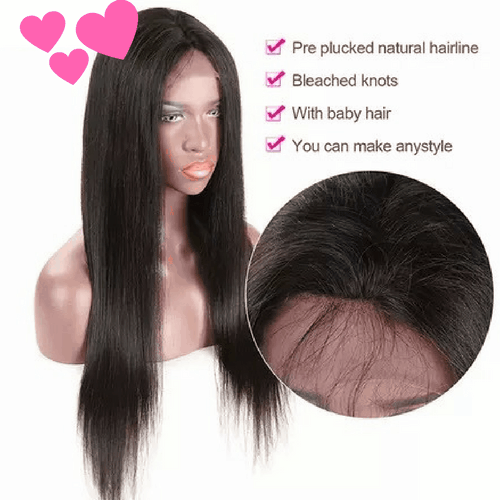 How to wear the Full Lace Wig with Baby Hair? 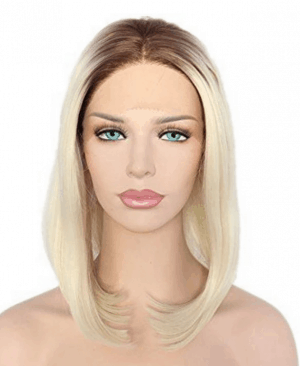 The full lace human hair wig has an elasticized cap that makes wearing it a breeze. The cap is adjustable, and has a strap that fastens near the nape of your neck for a secure fit. 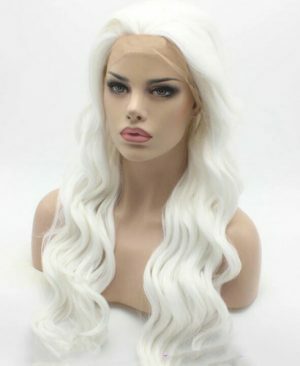 Full lace wigs also has combs attached to the inside of the cap that slide into your own hair and keep the wig in place. Does the Full Lace Wig come in different sizes? Yes! The Full Lace Wig with Baby Hair comes in different sizes. 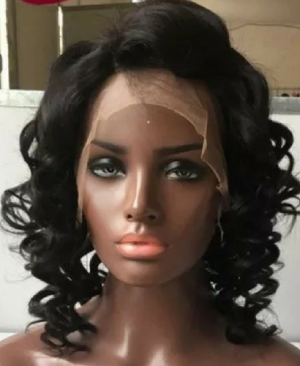 The way your full lace wigs fits is very important and you need to feel comfortable no matter if you wear your full lace wigs for an hour or a day! 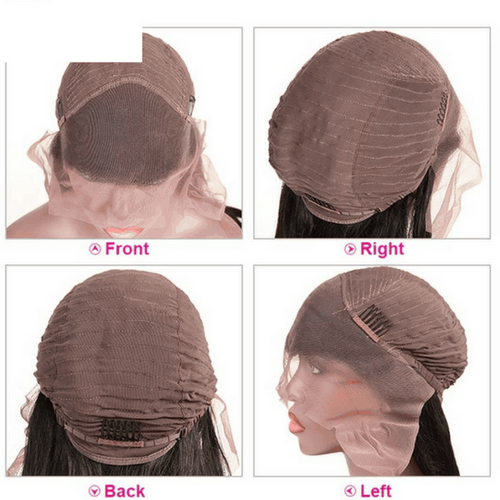 How do I know my Full Lace Human Hair Wig cap size? The average woman head has a circumference of 22.5 inches but heads can be smaller or larger than that. Be sure to measure your head before ordering to ensure a good fit. 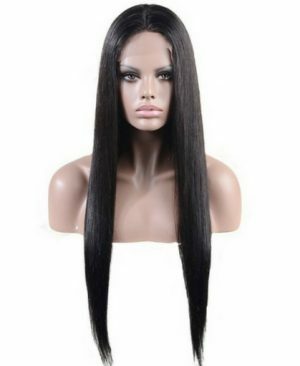 Our Full Lace Human Hair Wigs come standard with a medium cap, other sizes can be custom made for an additional fee. Can I Style Full Lace Wigs? Yes! 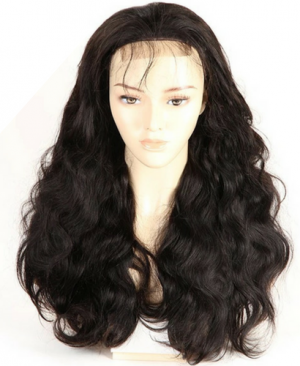 The Full Lace Wig with Baby Hair is made from premium quality Brazilian Human Hair. You can style, shape, and design it how you want. 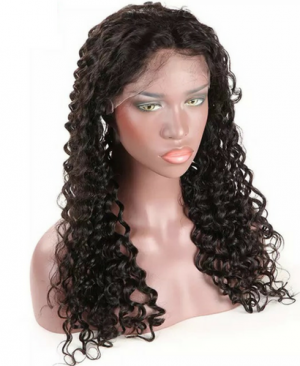 It is very important to keep your Full Lace Wigs tangle free. Keep a brush handy for regular use. Use your brush or a wide tooth comb, starting at the ends, gently run it through working your way up the lengths of the hair until you reach the roots and can do tangle free strokes from root to tip, ensuring you are always going in a downwards motion. This keeps the full lace wig tangle free and loosens any dirt. Use a wide tooth comb and gently comb your full lace wig so that is tangle free. Next, use your wide tooth comb to comb your wig. Starting at the ends and working your way up the lengths of the hair until you reach the roots and make long strokes from root to tip, ensuring you are always going in a downwards motion. Continue until the wig is tangle free. Be gentle and do not tug on the hair. Comb into style. 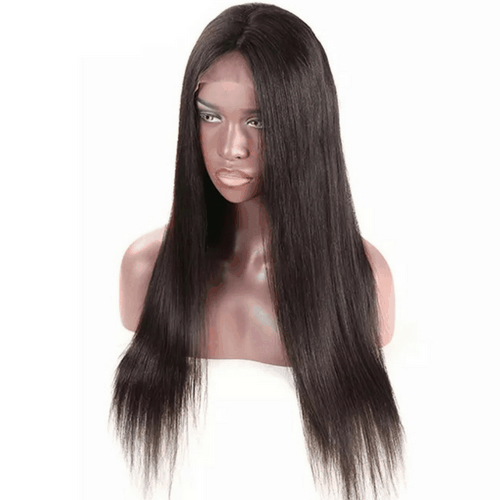 How long will my Full Lace Wig Human Hair last? 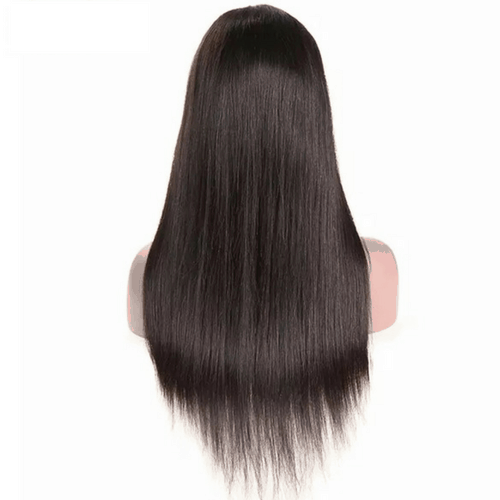 Your full lace wig can last up to 3 years if treated gently and well maintained. Be sure to keep it tangle free, and clean it not more than once per week. The more you use heat to style the wig, the shorter time it will last. The more gentle you are, and the more attention you pay the wig, the longer it will last!